A land of man-made and natural splendour, thriving Maori culture, and jaw-dropping landscapes straight from Middle Earth. The adventure capital of the world with diverse landscapes from glaciers to subtropical forests, alpine mountains and stunning beaches. 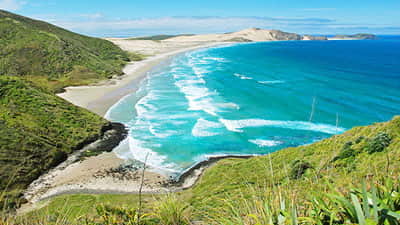 New Zealand is a land of natural splendour and jaw-dropping landscapes. Soak in the views as you skydive, zipline and hike your way around this beautiful country. 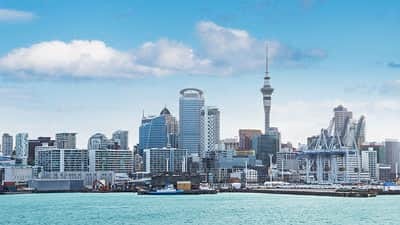 A yacht lover’s paradise, Auckland is known as the “city of sails” with more boats per capita than anywhere else in the world. Based around two harbours in New Zealand’s North Island, sip a glass of wine in Waiheke’s perfect wineries, or go paddle boarding in one of the many available beaches. 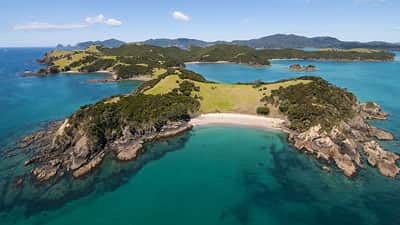 Venture to the winterless 144 islands of New Zealand’s most popular maritime parks, the Bay of Islands. 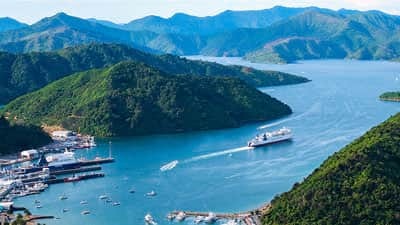 One fifth of New Zealand’s coastline, The Marlborough Sounds is a sailing paradise with over 1500km of beautiful coastline, stunning coastal forests, and hidden bays, islands and peninsulas to explore. Go kayaking in the Queen Charlotte Sounds or bird watching in Motuara Island Sanctuary. Watch the whirlpools of DÚrville Island or go hiking in New Zealand’s single most remarkable walking track, The Queen Charlotte Track. At Ship Cove, take a step back in history to the place where the first Maori discovered New Zealand! 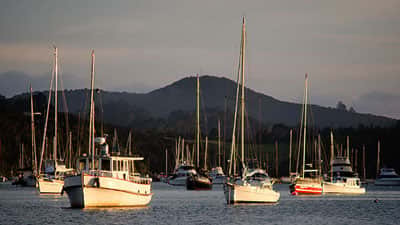 In the South Island, the inviting turquoise waters, white secluded beaches and forest coastline of Abel Tasman National Park are easily reached by boat. Swim in Cleopatra’s Pool, hike to Cascade Falls, or view the local wild life including seals, little blue penguins, and bottle nose dolphins. With it’s sublime forests, mountains, beaches and fjords, New Zealand is one of the most stunning and beautiful destinations in the world. December to February is peak season for traveling in New Zealand. The weather is best in March and April. With relatively mild winters and dramatic snow-capped mountains in the backdrop, winter is also a great time to explore the wonderland that is New Zealand, or hit the slopes!